Home - Kain-Murphy Funeral Services-Serving Haddonfield, Cherry Hill, Haddon Heights, Haddon Township and surroundings. Our goal is to offer support and the very best personal service available. Whether you choose a traditional funeral or cremation, we work with you to provide the exact customized service your family desires, and make the funeral a healing and meaningful experience. 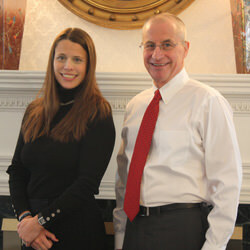 Serving the Haddonfield area and surroundings since 1910.